SSX PS3 Review. This is a unique series with its own style and you can become sucked into this ridiculous world and have and absolute blast doing so. 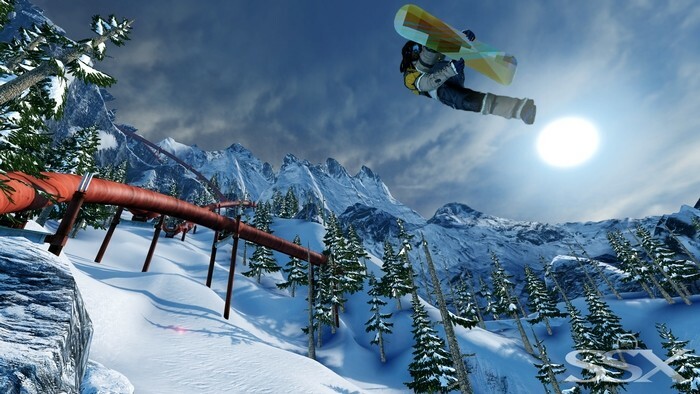 SSX is a completely over-the-top snowboarding title featuring enormous jumps and insane tricks, many of which involve unclipping the snow boots and spinning the board around, all the while performing triple or quadruple back flips. There has been a huge amount of hype surrounding the launch of SSX, and it feels like a very long time between drinks for the SSX series. 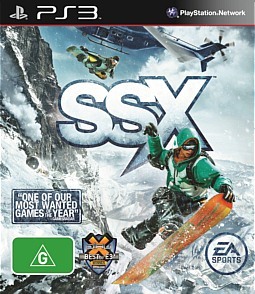 SSX debuted back in 2000 and has only seen a small handful of releases, with this being the first on current gen consoles. 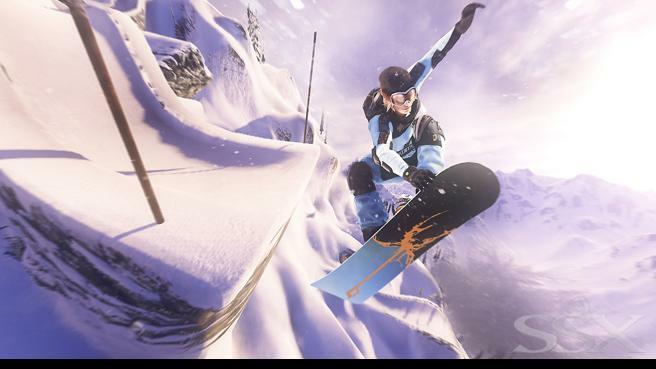 There are a number of significant changes from previous SSX titles but fortunately the things that made the previous titles worthwhile have also survived into the current gen release. 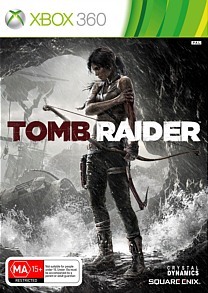 The current release tries to work a story into the mix through a World Tour mode, the story involves a former member of the SSX team leaving and taking all the funding with him. The idea being that being him on each of the deadly descents is their form of revenge. This is enough to give a reason to move from one mountain range to another. There are a total of nine mountain ranges and each one requires you to use a different boarder to take advantage of their strengths and beat the enemy in a Deadly Descent to take the crown. Forcing players to use each of the characters during World Tour is an interesting move; on the one hand it forces players to experiment with the different characters. The drawback to this is that you never really level up any one character and are reluctant to spend money on upgrades and see any real progress with any particular character. Each of the nine ranges from around the globe has within it three mountains, again each containing one or two runs. Ranges are highly varied from The Himalayas featuring Mount Everest to Antartica and each one is distinct. Each of the runs is a race, “Trick it” or “Deadly Descent”. 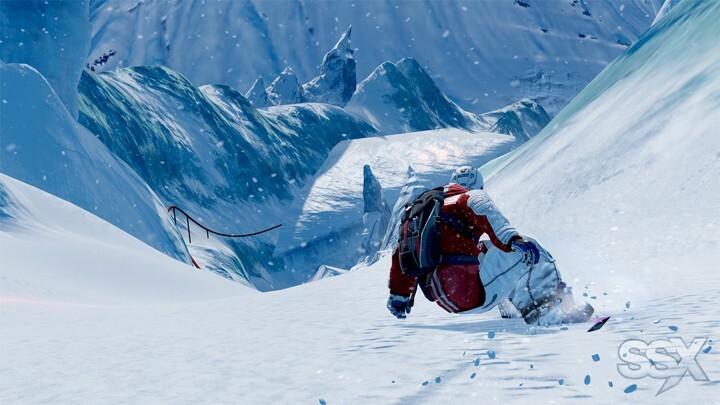 Race requires players to race down the mountain as fast as possible, this has been present in SSX all along, this is a challenging mode that requires a combination of tricks to build boost and avoiding air, mean while grinding is fast and nets boost. Trick runs involve performing tricks, in order to get the most points possible you must build the multiplier quickly and maintain it. There is also tricky mode which provides the over-the-top tricks and nets the most points; the key is to maintain this also. Both of these modes have always been around, Deadly Descent is the latest addition. Deadly Descent is the new mode and really changes up the experience with the sole aim of each challenge being to survive the run. During a Deadly Descent things are a little different, with the runs being difficult to complete and a need for extra accessories. The first of these requires armour as the run has a lot of trees, another requires a head lamp to go through a dark tunnel with spinning meaning that you can’t see forward. There a couple of these that didn’t work too well too, running from the avalanche felt clumsy as the camera was reversed. The white out descent requires players to equip pulse goggles, showing the landscape with no detail and only showing it on a pulse; I found this to not work very well. Many of these also had a number of drop offs that were incredibly difficult to avoid and could be incredibly frustrating. Overall though the Deadly Descents are highly enjoyable and require you to rethink how you play and are a very welcome addition to the series. There is also an explore mode which allows you to unlock various runs for in game credits and perform them in either race or trick modes, trying to trick on the race runs is certainly a bit of a challenge with multipliers being more difficult to build up. When completing the deadly descent runs in this mode, the challenge is to travel the most distance possible, this involves taking the helicopter back to the top and going again. Each of the events has medals which provide credits and experience points. This mode gives players somewhere else to go once the World Tour is completed. There is an online mode that works a similar way, you play a fee to enter an event and depending on where you place you get a heap of credits. These events can have thousands of other players competing and net millions of credits, this is highly rewarding and even players that generally don’t enjoy online can still get a lot out of it. With all these excellent mountains and modes fortunately the game play is up to the challenge. 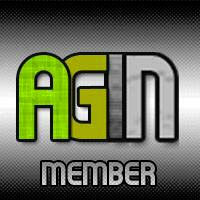 The game play involves using both analogue sticks and also the shoulder buttons to perform tricks. This has always been a strong point of the series, and fortunately it is still the case. It has a very distinct feel and certainly takes some getting used to, but once you get the hang of it everything works brilliantly. It is one of those games that is welcoming for new comers but also deep and challenging enough that those wanting to master the controls will still continue to be rewarded, and there is always going to be challenges thanks in part to the online challenges. If you’ve played SSX you know what you’re going to get, if you haven’t there is a very brief tutorial and things take time to build momentum. Rarely did I find myself getting stuck on rocks but fortunately there is a rewind system that greatly reduces any frustration. Each of the characters is introduced during the World Tour mode with a brief comic style video providing a bit of background information, these are not all that entertaining but do add a bit more to the whole experience. Each of them has a speed, boost and trick stat and makes the boarders different to use. Speed is how fast the boarder speeds up and top speed; boost is the length and intensity of the speed boosts that are built up through performing tricks and finally the trick stat controls air and spinning speed. The characters also have an individual statistic related to their Deadly Descent, these give them an equipment boost, and for example the boarder who rides Everest uses the oxygen tank more effectively than the others. Each character can also earn experience points which will allow them to level up and purchase better equipment, such as boards, outfits and equipment. The equipment plays a huge role in obtaining silver and gold medals in the Explore mode. Unfortunately the World Tour mode doesn’t really provide any room to develop one character, and work on improving one characters equipment, other modes do allow for this though, and World Tour allows sampling of all the characters. Different equipment can also be used on any run during the explore mode. Everything looks really nice here too, the mountains look spectacular and there are amazing draw distances showing everything that is in front of you. The character models all look good and are distinctive enough that you can tell them apart on the slopes. Everything looks particularly good when wearing the head lamp, this adds a lot of shadows and the varied lighting looks terrific when lit up and more shadows are applied. All animations also look smooth and the game as a whole runs really smoothly, the tricks may look absurd but they also look good. There are different filters applied too during the tricky mode reached during the runs and these also work well. The menus look nice but do take a little bit to get used to; it is a little unclear at first what the different modes are. The menus are highly stylish and moving around the globe is a nice touch. One minor gripe about the menu system is the loading screens can get annoying when moving between menus, loading times can also get annoying when restarting a run. 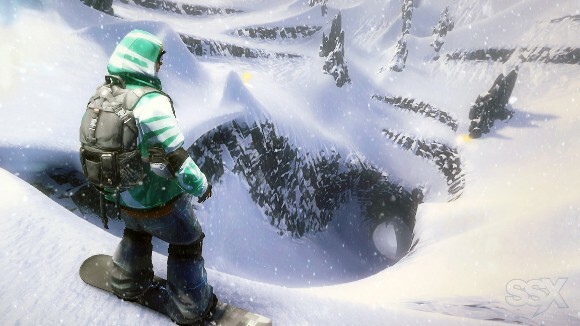 Sound is done very well in SSX; firstly the sound effects are handled well. They are over-the-top and fit nicely with the whole experience with a decent punch. Voice work is done well with the traditional voice over announcing when you reach “Tricky” mode during a run. There are also helicopter pilots, these guys are pretty stereotypical but do provide some advice during the runs, especially on the deadly descents where they will tell you about ridges to avoid. The highlight though of the sound is definitely the music; the music is super catchy and actually changes a little depending on what is happening on screen. The music gets louder when in “Tricky” and will skip when grinding for extended periods, these minor touches really add a lot to the experience and add a touch of style. Overall, there is a heap of value here; once World Tour is complete there is a still heap to do, from challenges to collectibles. This is a more than worthy entry for a series that has long been successful and provides a complete experience that is highly and enjoyable and full of value. There are very few issues with this release and they are generally rare and fairly minor. 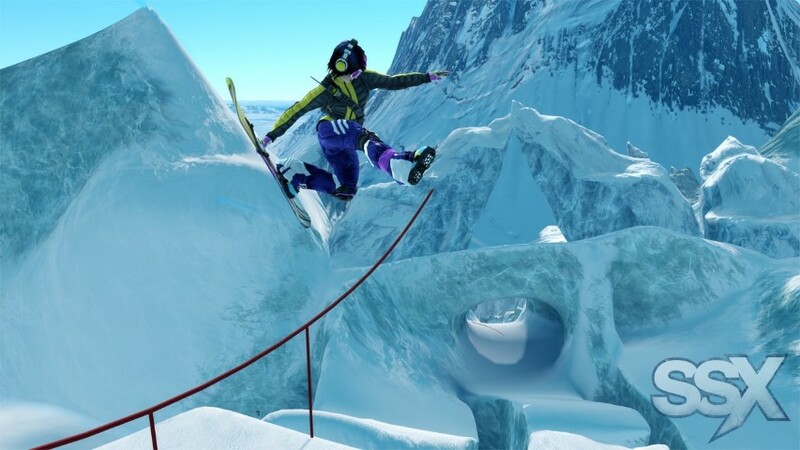 SSX is worth a look for anyone into extreme sports titles or someone looking for something different to all the other titles that are cut from the same mould. This is a unique series with its own style and you can become sucked into this ridiculous world and have and absolute blast doing so.